He grew up in Eugene, Oregon and attended BYU. 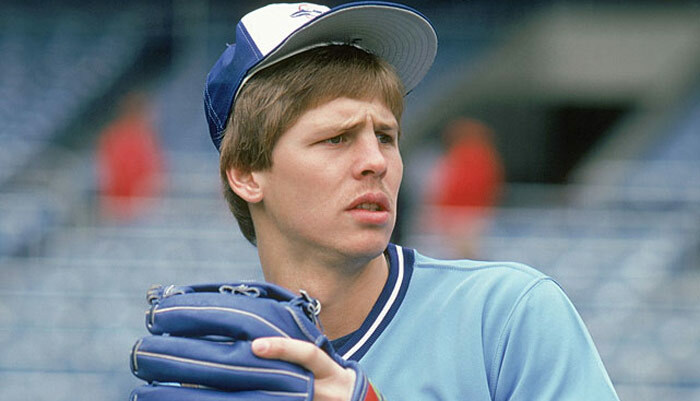 He was drafted by the Toronto Blue Jays in the 15th round of the 1977 amateur draft. He began his Major League baseball career two years later. He played for 3 seasons and ended his big league playing career in 1981. Daniel Ray “Danny” Ainge (born March 17, 1959 in Eugene, Oregon) played professional basketball and baseball. He is currently the President of Basketball Operations for the Boston Celtics of the NBA. He played in the NBA for the Celtics, Sacramento Kings, Portland Trail Blazers, and Phoenix Suns, and also in Major League Baseball for the Toronto Blue Jays. On January 18, 1994, he became the second man ever to hit 900 three-point shots in NBA history (he made 1,002 three pointers for his career), and he scored 11,964 points for an average of 11.5 points per game, 2,768 rebounds for an average of 2.7, and 4,199 assists, an average of four per game. Ainge retired after the 1994–1995 season. He was inducted into the Oregon Sports Hall of Fame in 1999.